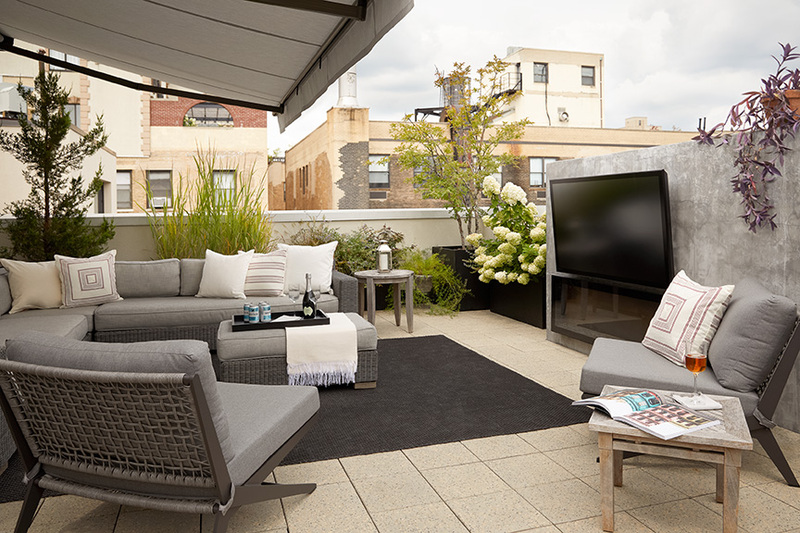 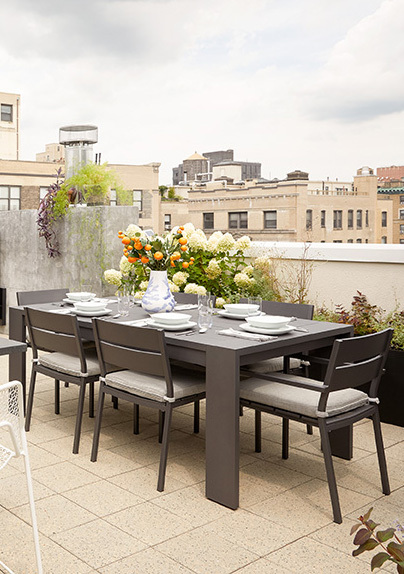 MARTOS provided structural engineering design services for this two-story, NYC Upper West Side penthouse that included the modification of interior bearing walls, the design of new steel stairs, and the installation of planters and various structures at the terrace. 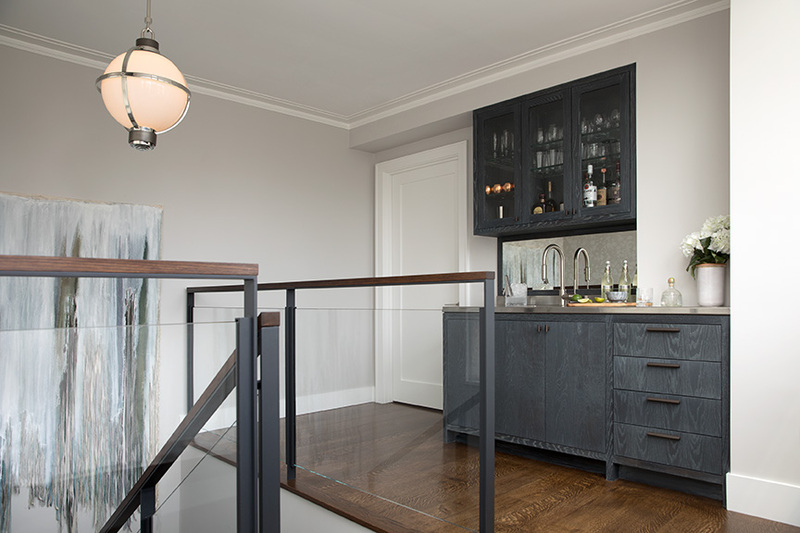 The penthouse consists of light gage framing with both bearing walls and floor framing. 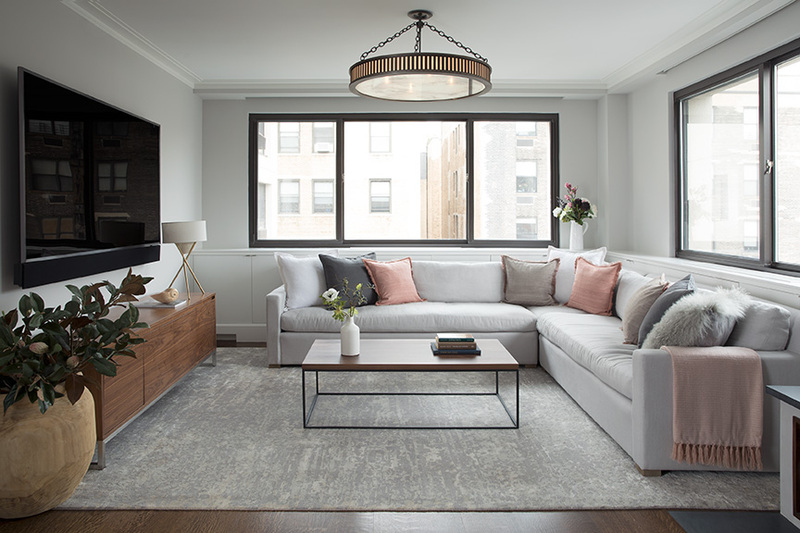 To create the interior opening between the dining and living room, a temporary lintel and sequencing was designed to allow for a safe redirection of the loads. 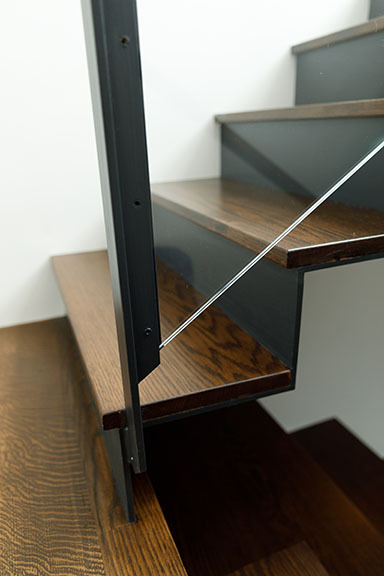 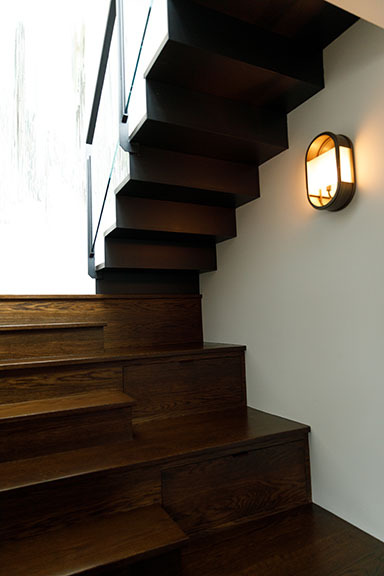 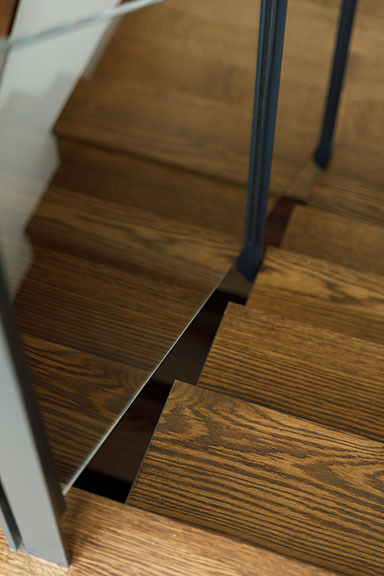 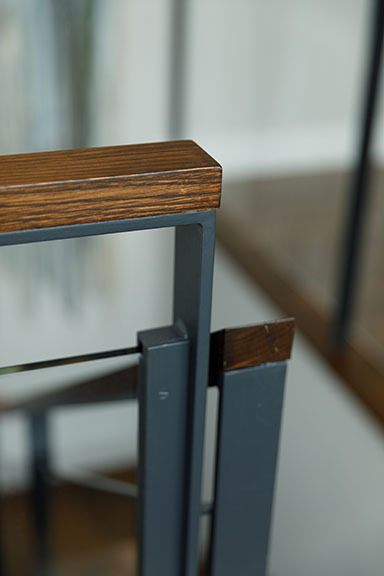 The new switchback steel stairs consist of bent plate treads and risers cantilevered from a single tube steel stringer designed to resist torsional forces. 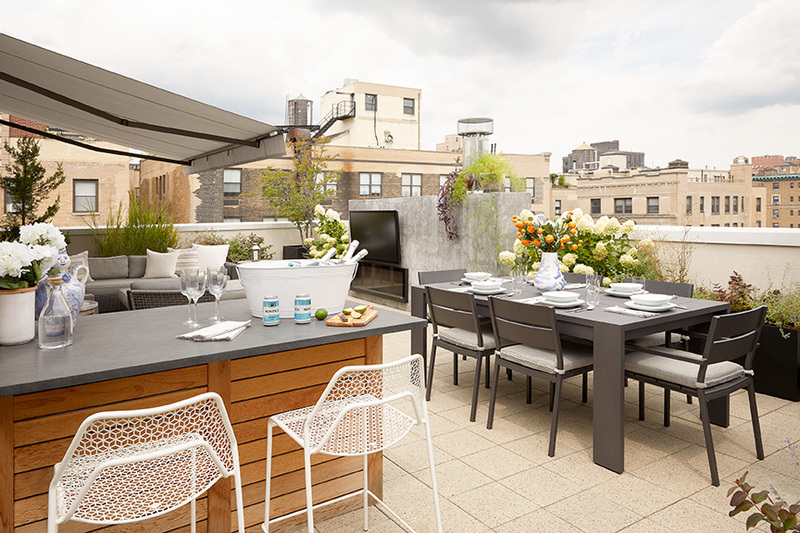 Our analysis for the rooftop terrace consisted of consultation for wind anchorage and allowable weights of new planters, paver system, furnishings, and built ins.